After the recent positive reactions to our Battle of the Nexus 5X Screen Protectors Round 1 and Round 2, we thought it prudent to do a similar comparison with the Nexus 6P Screen Protectors. 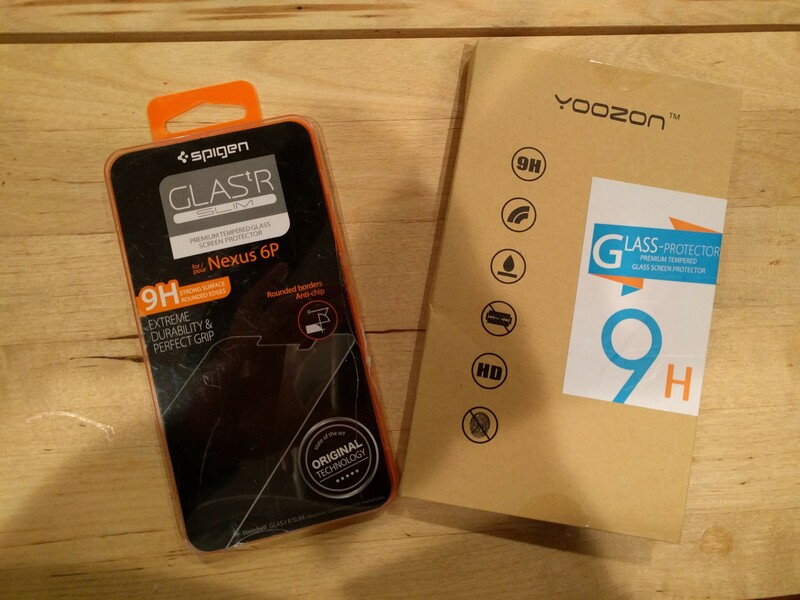 With this in mind we put the Spigen Slim Tempered Glass Screen Protector and the Yoozon Nexus 6P Tempered Glass protector to the test. First up, Spigen Slim Tempered Glass Screen Protector. 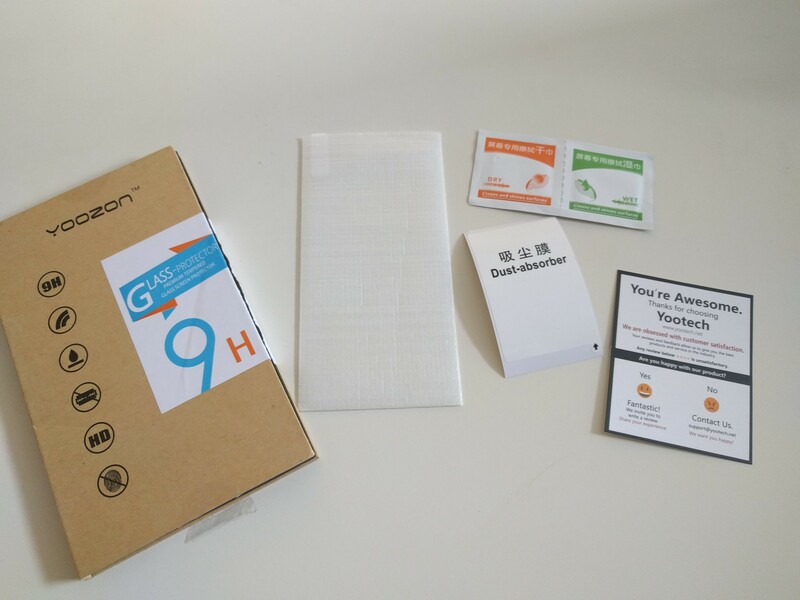 This was a nicely packaged protector, that included wet and dry wipes, easy to follow instructions and a microfiber cloth. Installation for the most part was a breeze, I simply followed the 6 point instructions, however nowhere in the instructions did it reference using the dry wipes or the microfiber cloth. Being that I do not normally use screen protectors, I guess I should have assumed I needed to use the cloth first to get rid of the dust. Guess what – I ended up with one spec of dust which is a bit annoying, but I can live with it. Bubbles, the few I had, were easily removed by applying a bit of pressure and then pushing them off to the side – simple enough. Two quirky things that I could not figure out was the point of a dust removal sticker (not referenced in the instructions) and the cutouts. One of the cutouts was fine, but there was one shaped in such a way that it didn’t make any sense. It appears, from looking at other reviews and photos of this product, I put it on upside down, however turning it around had no different effect with the alignment. You can see what I mean from the picture. Once installed, I proceeded to put my Adopted bumper case back on. This proved to be a brief issue as it lifted the edges up and cause some bubbling, however these were easily removed by spreading the case to the side and pushing the bubbles out. The feel of the protector reminded me a bit of what my phone felt like when it was brand new with no fingerprints or dust. My finger slid easily to perform all activities and the responsiveness was as if I had nothing between my finger and the screen, a welcomed surprise for someone who doesn’t normally use screen protectors. After a few days of use, I am still impressed with this protector. No scratches, and it even resists fingerprints, which is fascinating. Removal of the screen protector was pretty straightforward, but I needed to use a small piece of cardboard to get underneath to lift it off. Removal left absolutely no residue or signs that there was anything applied. 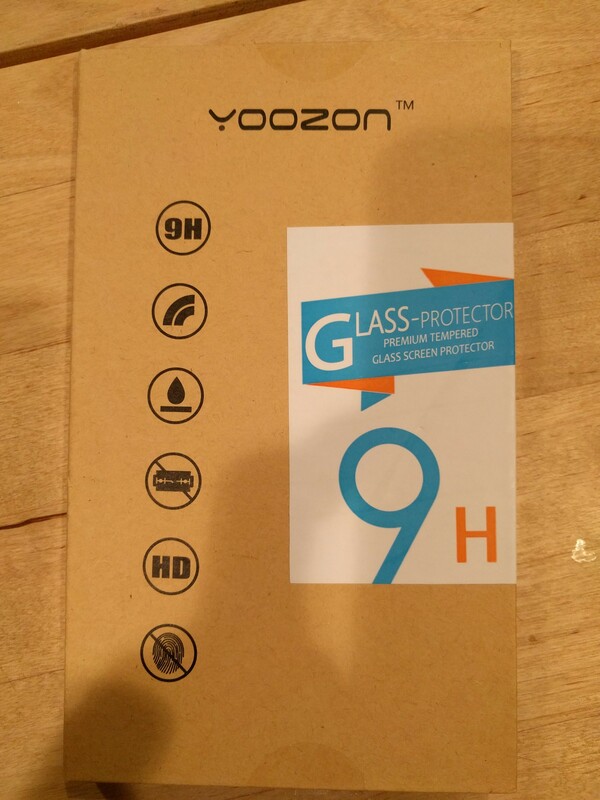 Next up was the Yoozon Nexus 6P Tempered Glass protector. This product also included wet and dry wipes as well as dust collector tape, but did not include a microfiber cloth like the Spigen. Similarly, there was no mention of what to use the dust collector tape for, so I did not use it. Instructions were pretty straightforward and simple to follow, however they were printed on the inside of the box. If you are like me and throw things out right away, you may be out of luck. Thankfully for me, this time I noticed the instructions before trashing the box. 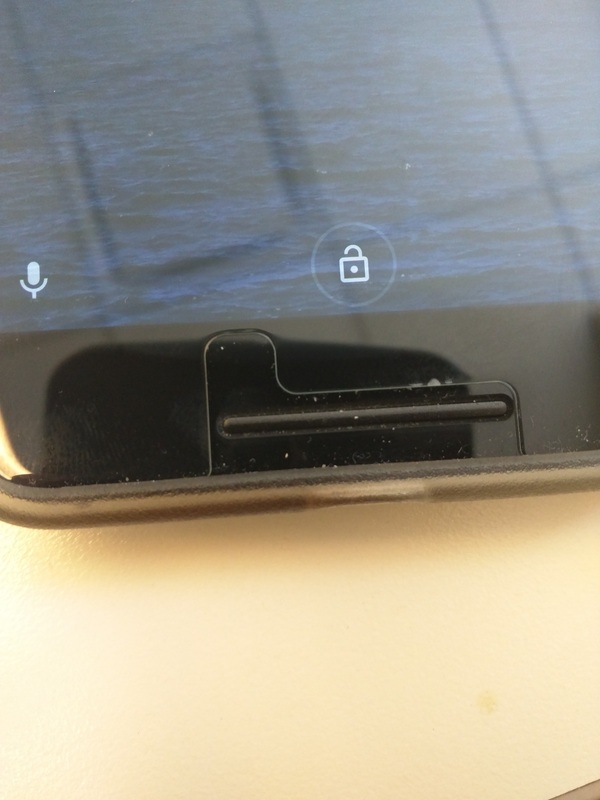 Installation was very simple and everything lined up perfectly, but similar to the Spigen there was some unknown cutout that lined up with nothing on the 6P. I did not have the similar issues with the protector lifting off the screen after putting my Adopted case back on. Responsiveness of the screen was not impacted at all, however the feel of it was not as smooth when running my fingers across the screen. After a couple of days of use, there were absolutely no signs of wear, no scratches, and no fingerprints that I could see. And the winner is… Both of these screen protectors performed well and as expected, keeping in mind that I don’t normally use screen protectors. Both have similar price points at just under $8.00 at the time of this writing. But given the smoothness of the feel during use I will have to give the Spigen Slim Tempered Glass Screen Protector a slight edge and crown it the winner!